Client service staff costs were reduced by 10.6% or $604,000 over the period, while cuts were also made to administration, office and communication personnel. 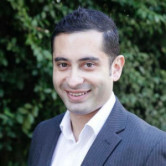 The most high profile casualty was GM of corporate services Nick Kountouris. In 2014, Dentsu Mitchell (then Mitchell & Partners) and Adcorp won the Australian government account from UM, then worth about $159 million in annual billings. In the 2015-16 budget, the Australian government spent $175 million on advertising campaigns, although this dispute doesnt relate to that. Mitchells has responsibility for overall media planning and buying of the campaign portion of the contract and subcontracted some non-campaign work to Adcorp, including recruitment and public notice advertising. In May 2015, Adcorp issued a profit warning, citing a “contraction in Australian government expenditure and an associated reduction in fee income in the second half”. In the ASX statement, Adcorp revealed that its contract with the Northern Territory Government, which was due to expire in the first quarter of this year, will not be renewed. Adcorp's non-government business, which focuses on East Coast property project marketing, has continued to grow year-on-year and its documentary business Showrunner Productions is “on a path to contribute profits in future periods” after a restructure and business win to produce 24 factual documentaries. Dentsu Mitchell and Adcorp have been approached for comment. ASX-listed advertising agency Adcorp claims Dentsu Mitchell has unfairly terminated its subcontracting work for the Australian government media account in what appears to be an ongoing “dispute”. In its half yearly report the full-service agency has blamed the fallout for a $823,000 after tax loss in the six months to 31 December 2016, which includes $226,000 of costs associated with a restructure in the wake of losing government work. Billings over the period were down 16.4% to $6.68 million and the loss is nearly double Adcorp's $463,000 loss reported in the corresponding period in FY16. In a statement to the stock market, Adcorp says it "cannot comment on the dispute with Dentsu Mitchell Media with respect to Adcorp's termination without cause from its involvement (in Australian government work). "This issue has significantly impacted Adcorp's future earnings and all necessary steps are being taken to aggressively pursue the issue," it said. At the heart of the dispute, Adcorp claims, are outstanding payments for services. Adcorp says it sent a letter to Dentsu Mitchell on 9 November 2016 “demanding payment of outstanding invoices and services rendered”. Two days later Dentsu Mitchell returned fire with a letter that claimed amounts owed by Adcorp. "Adcorp considers Dentsu's letter dated 11 November 2016 to be largely unsubstantiated claims and will vigorously defend this position," Adcorp stated. The statement continued: "On 22 December 2016, Adcorp responded again demanding payment for outstanding invoices for services rendered and in addition claiming damages for wrongful termination of agreement and engaging in misleading and deceptive conduct." 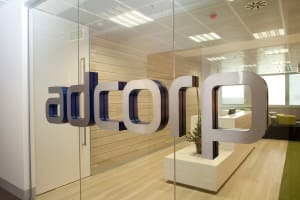 Over the reporting period, Adcorp said it has made “significant” redundancies, restructured its business development team and carried out an internal review of services to reduce the company's cost base.